Following a devastating demonic invasion, the twin Goddesses use their magic to bring the inhabitants of legendary Ys safely into the sky. While the demons work to construct Devil’s Tower and reach the humans’ new abode, the Goddesses disappear. As a mighty warrior or a cunning mage, you must seek the Goddesses in Devil’s Tower. With your swordsmanship and spells, can you banish evil from the land of your ancestors? With its captivating story, stirring soundtrack, and epic boss battles, Ys Origin remains one of the best action-RPGs of all time! 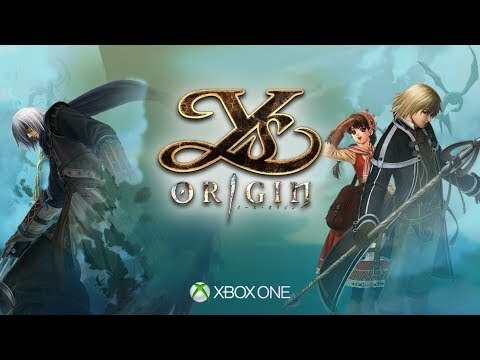 Ys Origin was released on Xbox One 378d ago in the US and the UK. Notify me when Ys Origin is available. Based on 7 Ys Origin reviews, Ys Origin gets an average review score of 80. I would say this is a great port of ten year old PC game that serves a preface to the beloved Ys series. Outside of hating action RPGs or not having $20, I can't think of another reason to pass on this game. While Ys Origin feels like a relic of the mid-2000's, its fast paced combat still stands the test of time and should satisfy fans waiting for Ys VIII's global release. Ys Origin is a very tightly crafted experience. For £12.99 on Steam, you seriously cannot go wrong with checking out this top action RPG. A fast-paced and solid action RPG with a fantastic soundtrack. A cute, quirky anime dungeon crawl that will cheerfully kick your arse until your nose starts bleeding.